This is the first comprehensive book on the Eames' legacy in over a decade, revealing the rich totality of the their work in all media. Produced in close collaboration with Eames estate, this novel publication presents the husband-and-wife team from both personal and professional perspectives, as well as the lively interplay of their public and private lives. Charles and Ray Eames are among the most important twentieth century designers, and the story of the Eames Office is that of the history of visual and material culture in the post-war, modern period. This groundbreaking monograph charts the history of their inspiring and prolific world and brings together key works and ideas explored at the Eames Office throughout its extraordinary history. Published in connection to a major exhibition developed in partnership with the Eames Estate opening at London's Barbican Art Gallery in October 2015 and expected to tour the world, the book features a broad range of visual material, enriched by recent archival research and new discoveries. It explores the era-defining work of the Eames Office, a 'laboratory' active for over four decades that produced a vast array of pioneering and influential projects - from architecture, furniture and product design to film, photography, multi-media installation and exhibitions, as well as new models for arts education. 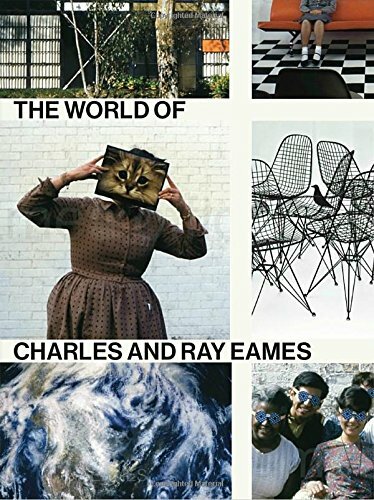 Alongside newly commissioned texts by leading design experts, The World of Charles and Ray Eames will include contemporaneous reviews and magazine articles, writings by Charles and Ray Eames themselves, personal correspondence and a comprehensive reference section. This ambitious publication will become the standard work on the Eames, destined to influence future generations of designers of all descriptions. If you have any questions about this product by Rizzoli Intl Pubns, contact us by completing and submitting the form below. If you are looking for a specif part number, please include it with your message.